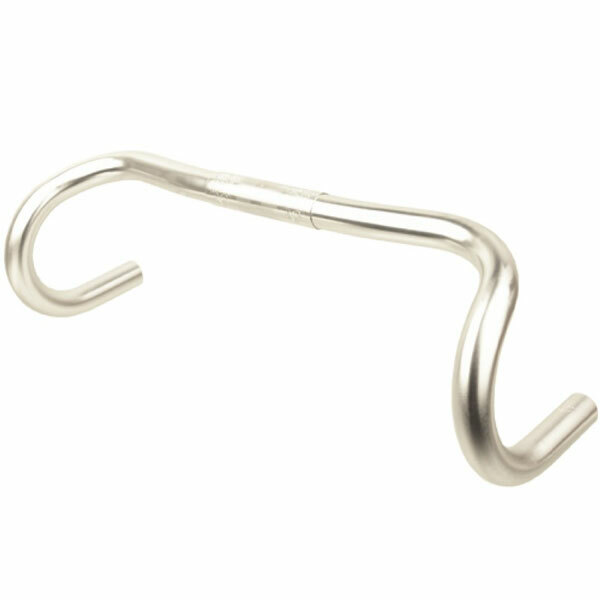 The handlebar of choice for our Randonneur Special bike is the Nitto Mod 177 Randonneur bar. Its flat on top so you don’t have to reach far for the levers and the top bar sweeps back, so when you are riding on the tops of the bars the hand position is more comfortable. The perfect partner for these handlebars is Nitto’s Pearl stem which we also sell.